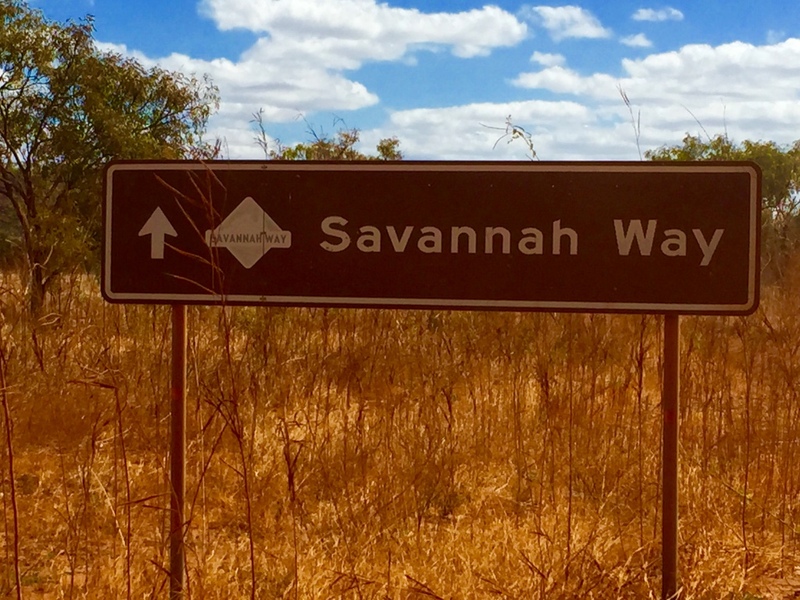 The Savannah Way is a collection of roads linking a tourist route from Broome to Cairns. 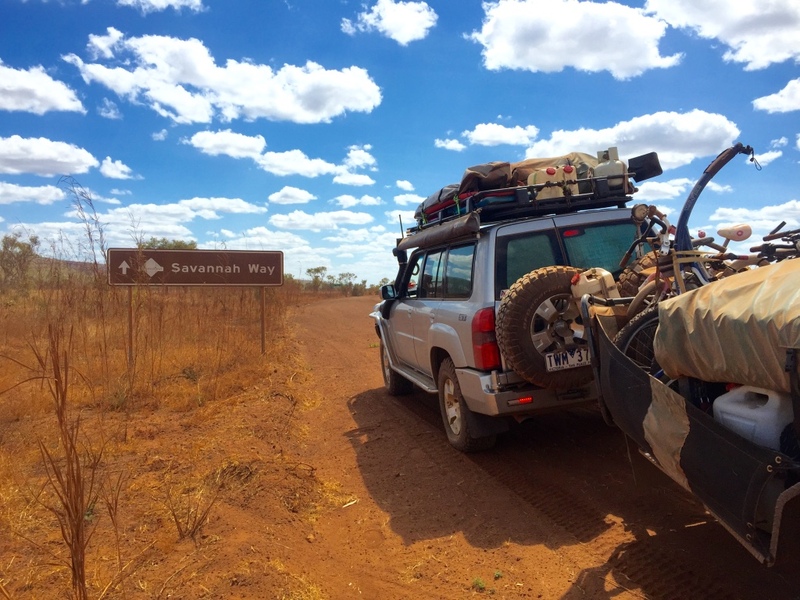 Leaving Mataranka, Elsey NP the Roper Highway is an unsealed road alternate route which of course we chose to follow. 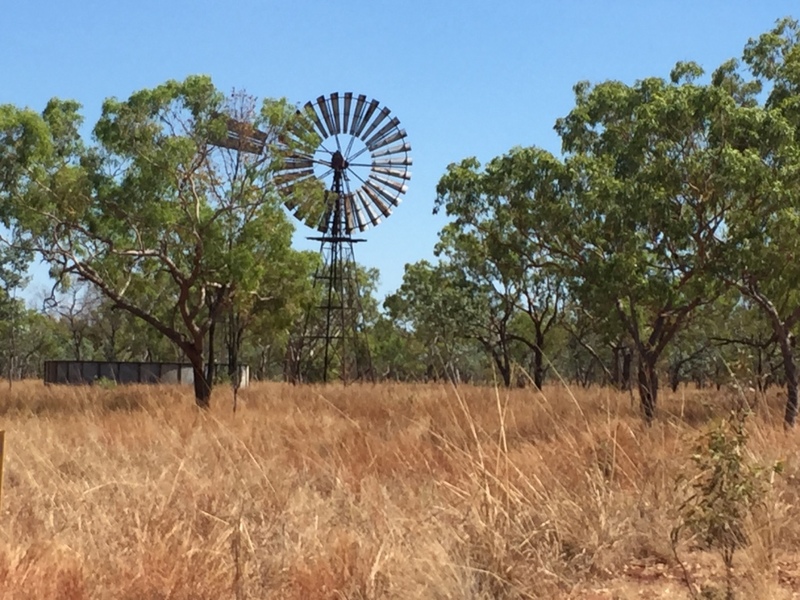 This route follows closer to the Gulf of Carpentaria although still travelling inland. 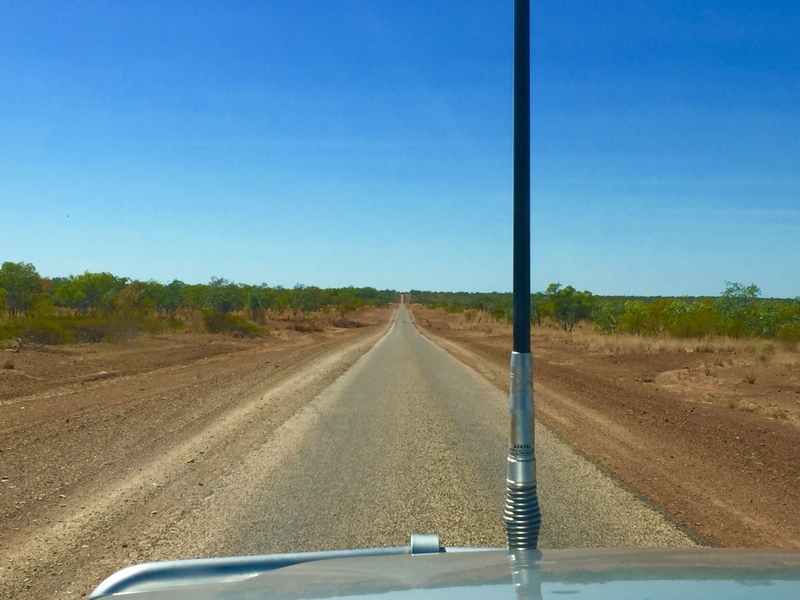 The Roper Highway travels through very remote outback Northern Territory after a refuel in Mataranka we headed off with some big distances to cover. 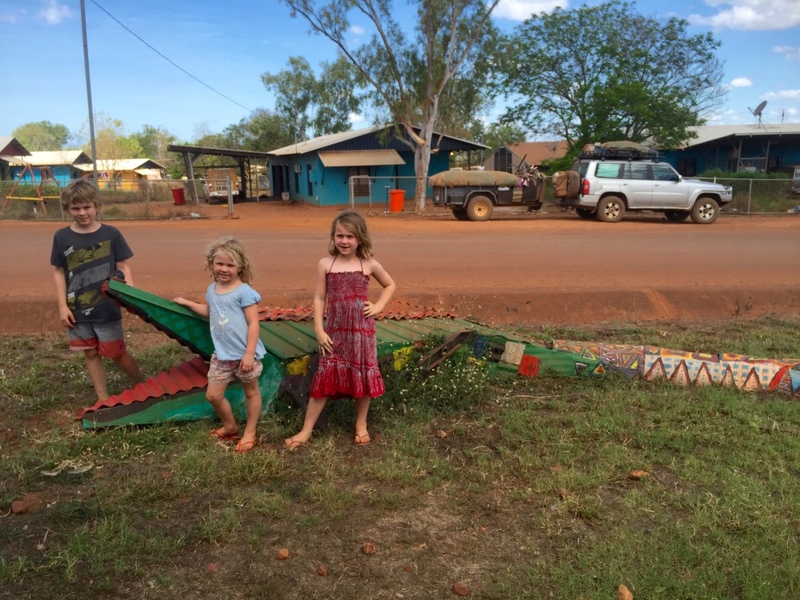 At Roper Bar, a small Aboriginal Community that have a small store and campground, we decided to take the side trip to Ngukurr Aboriginal Community to visit their Arts centre. 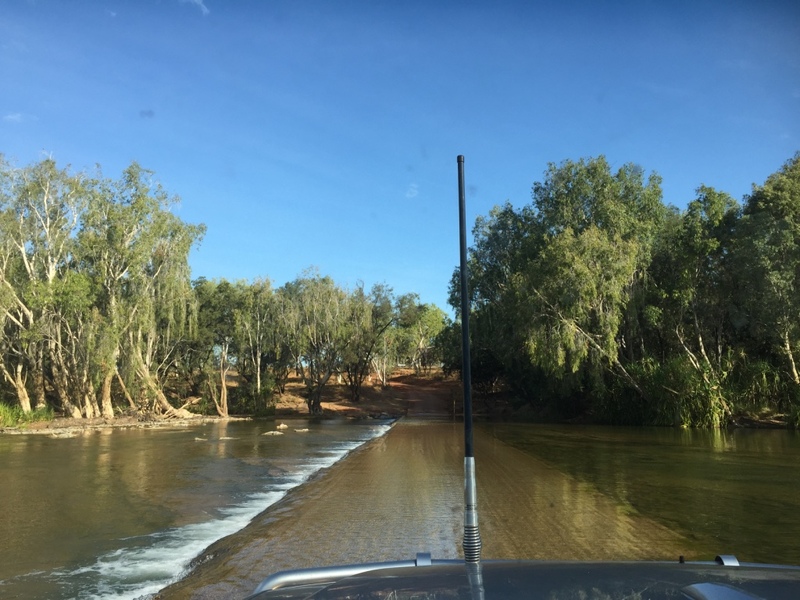 This required crossing the Roper River Causeway and heading through the remote aboriginal community of Ngukurr. 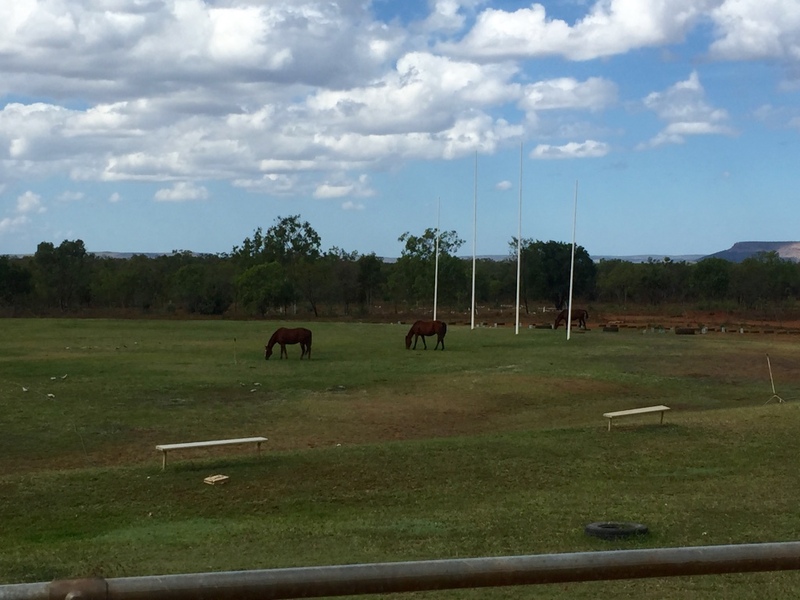 The kids were thrilled to see some horses on the footy oval in the middle of town. The arts centre had some really cool eclectic artworks with different styles rather than a specific traditional style. I wanted to buy a couple of items but they were outside my budget. 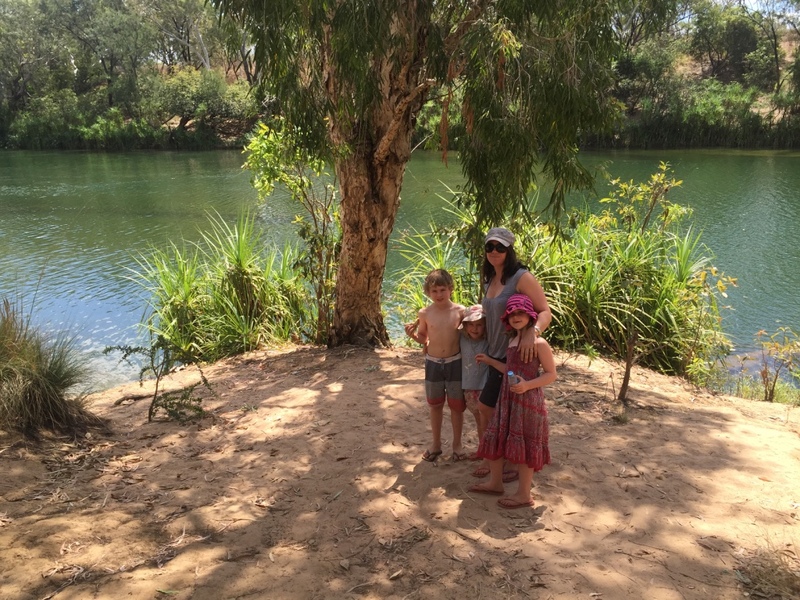 Whilst looking at the art one of the indigenous ladies had the three children playing games on her phone. 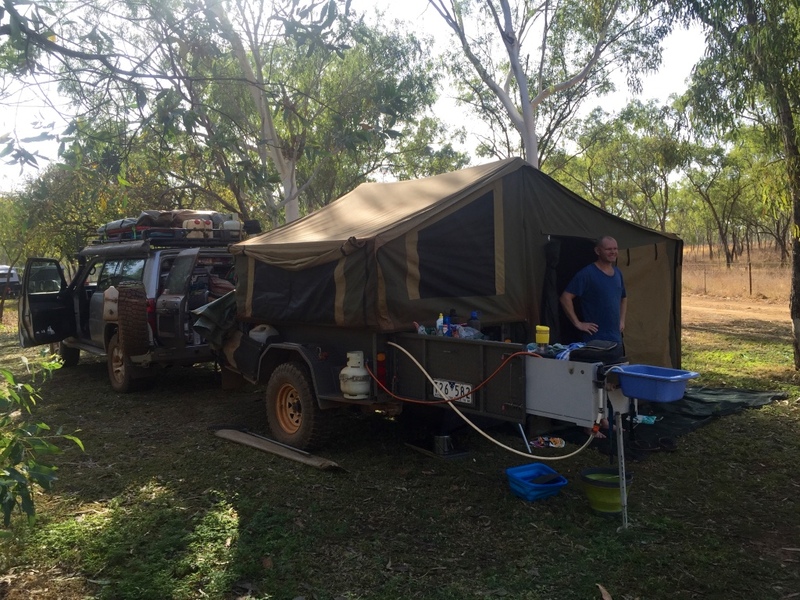 It was a nice afternoon drive but this meant that we had no option but to stay at Roper Bar which had average facilities at a very high price – but we had to pay. 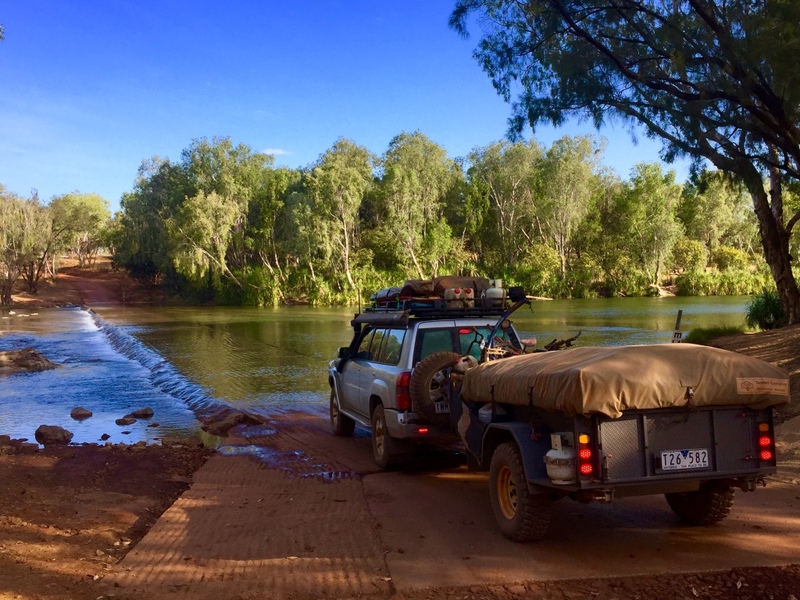 Roper Bar was near the Roper River but there are crocodiles in the river so swimming is not possible.